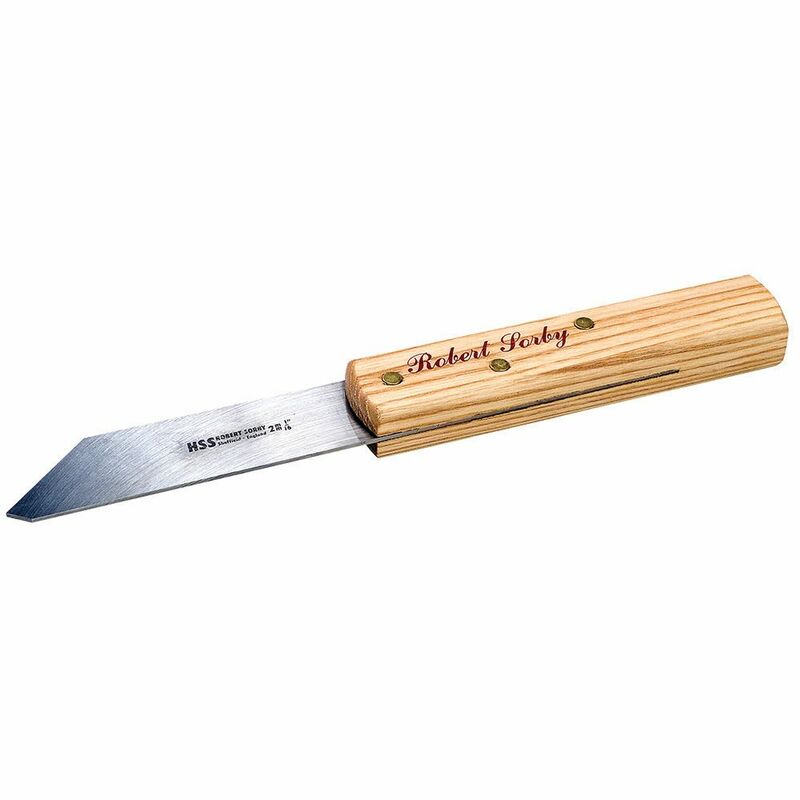 Designed to give the cleanest cuts with a minimum of waste, this Thin Kerf Parting Tool features a 1-1/4" blade width that eliminates the flexing and twisting associated with thin blades. The double-bevel HSS cutting face imparts fine parting lines to turnings. 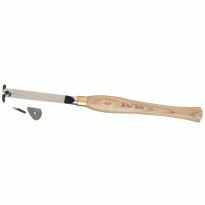 For a solid interface with the handle, the blade is seated and riveted a full 4-1/4" into the handle. It is an amazing cut of tool. Where has it been all of my turning life! I really like this tool. 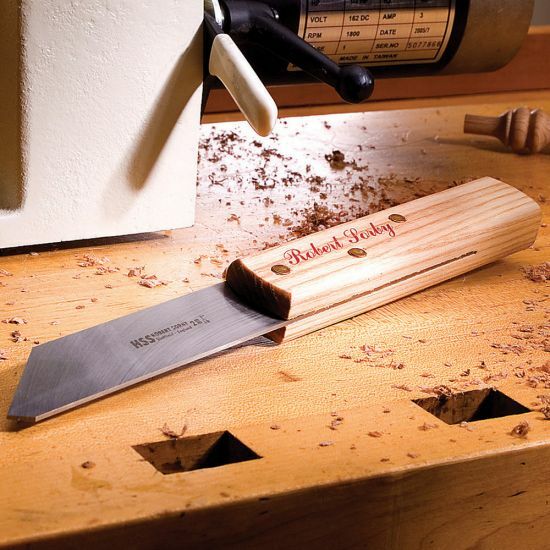 Cuts off pieces without wasting that precious wood! 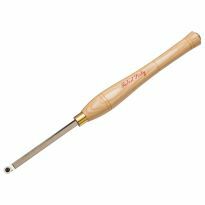 Excellant tool, very nice - especially for tight spots. Comes almost ready to use ( just needs some final honing up to polish with 8,000 grit ). A wonderful tool. Wishing that I would have had it a year ago. great tool i have zero complaints. Best parting tool I have! Love it. Great for getting into tight spaces or for smaller, detailed jobs. It does what it was designed to do. What you expect from a Sorby HSS tool - it's a great addition and sorry it took me so long to purchase this parter. I'm able to get very close to the chuck with the thin kerf and the cut is great. Now my only problem is whst to do with the two other parting tools I have as I doubt they will get used again. This is a great parting tool and an excellent value! The narrow kerf is great for parting out, and the tool was ready to use right out of the pouch. Should have bought this years ago. I have several parting tools and this fit the bill for something narrow and accurate. 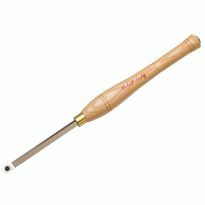 I use this to part both small turnings and larger ones where I want to cut closer to the glue block. Very pleased, and would buy again. Extra tool in my collection. Never have enough tools. To part prospective pyx covers from that which will be the body of the pyx and still maintain closer grain match. Wanted to try a different type of parting tool. Because I needed a thin parting tool. 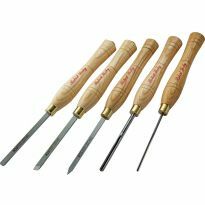 High quality Robert Sorby tools. Keep grain lines together. Replacement of 20 year old tool that has been sharpened many many times. I received a 20% off coupon and I wanted this parting tool, so timing was good. 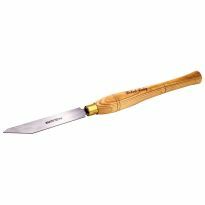 When sharpening this tool what edges should I hone? both the long and short bevel? BEST ANSWER: Generally, I hone only the short bevel. 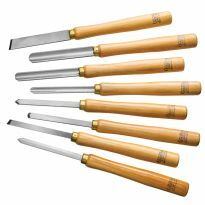 In time the short bevel will get longer as tool material is gradually removed during the sharpening process. So every now and then I'll regrind the top/long bevel to bring the tool back to its original shape. I find that shape gives me greater access to areas where I tend to use the tool. For best performance, I try to keep the combined angle of both bevels to 70 degrees or less. I sharpen both bevels as I don't want to change the angle in which I hold the tool against the material. Yes, there's a number of excellent you tube videos on sharpening parting tools.